Shazwani Hamid's Blog: The Power of Three! So anyway, have you heard of the Papulex skincare range?? To those who have never really been to the skin specialist or dermatologist, may probably have not heard of this product as they are only available at selected clinics/doctors. So today let me introduce this brand to you girls! Papulex is a new range of an acne care products from France, clinically demonstrated to be effective for all forms of acne! The Papulex line of products cleanses, protects and keeps acne-prone skin in good condition. They only have 3 products right now, which is the cleanser, and two types of moisturizer - an oil-free cream or the hydrating cream. But really, you only need these cleanser and the moisturizer to keep acne-prone skin looking good! I personally love their hydrating cream! My skin stays matte all day!!! Originated in France, Papulex is a range specially formulated products for acne-prone akin. With its triple action formulation, Papulex has a unique triple-action formula that can address the three root causes of acne; (i) Bacterial colonization, (ii) Inflammation of the affected area, (iii) Excess sebum. Powered by its unique triple action formulation, Papulex gains back patients' confidence and assures physicians of treatment results with its efficacy and superior tolerability. 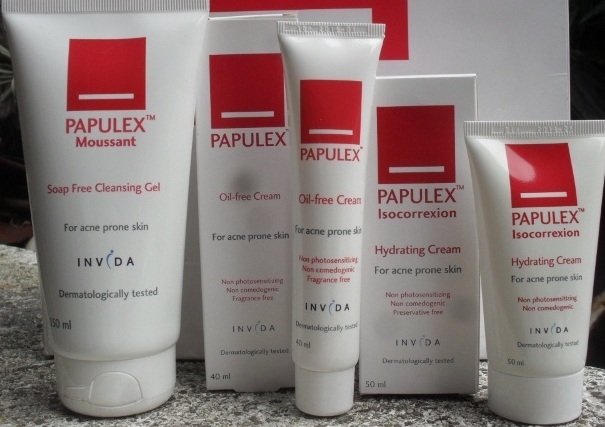 These products from Papulex are gentle on the skin and can be used both day and night. It is as the best combination therapy with Rx products during treatment phase and mono therapy for long term maintenance. 1. EU-Patented ABA Technology: Unique to Papulex, EU-patented ABA technology helps block the proliferation of (P. acnes) bacteria in the outer layer of the skin. 2. Nicotinamide - Helps reduce inflammation: Papulex contains 4% Nicotinamide, a natural molecule derived from Vitamin B3 that has potent anti-inflammatory properties. And studies have shown that Nicotinamide is as effective as clindamycin gel in reducing acne severity and lesion counts without inducing bacterial resistance. 3. Zinc PCA - Helps reduce sebum production: Papulex contains Zinc PCA that helps regulate sebum production, which causes oily skin and acne. A clinical study demonstrated that 1% Zinc PCA leads to a significant decrease of the sebum rate 28 days after its twice daily application, while no significant variations were observed in the placebo group. 1. Papulex Moussant Soap Free Cleansing Gel - Helps reduce imperfections while cleansing the skin gently with its soap-free formula. EU-patented ABA and Nicitinamide help reduce the appearance of blemishes while keeping skin feeling smooth and fresh. It is gentle and ideal for daily acne care. To promote acne-free skin, Papulex Moussant Soap Free Cleansing Gel is recommended for use twice a day before applying other acne care products. 2. Papulex Oil-Free Cream - Helps to reduce skin blemishes and skin imperfections. It contains mattifying agents and the unique triple-action formula (EU-patented ABA, Nicotinamide, and Zinc PCA). It is as the best combination therapy with Rx products during treatment phase and mono therapy for long term maintenance. It is fragrance-free, non-photosensitizing and non-comedogenic and can be used both day and night. 3. Papulex Isocorrexion Hydrating Cream - Helps clear blemishes and improves skin tightness and dryness caused by conventional acne. It is enriched with Biophytosebum (olive oil extract + squalene) and contains the unique triple-action formula (EU-patented ABA, Nicotinamide and Zinc PCA). It is recommended for use twice a day after using the Papulex Moussant Soap Free Cleansing Gel. Papulex Isocorrexion can be used both day and night. You have the flexibility to use the Papulex products alone or in combination with other acne treatments to achieve best results! Within a few weeks, or maybe days you will find remarkable change in your face, inshaallah! I've tried this new D.I.Y that use mainly sea salt and it does wonder for my skin. ouhh. baru skg saya tahu pasal product nie. 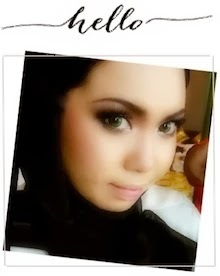 thank you for sharing and mesti kulit sis always flawless. ihiks ! Salam Wani, Thanks for sharing. Very useful. Nak tanya siikit pendapat Wani,anak aunty nak skincare for her 17th birthday...she wants one for whitening. Her skin is normal to dry. No pimple tapi gelap dan uneven skin tone. DO Wani has any idea what skin care is good for her?? Thank you. hye ekin,do you u knw where can i get this product in ipoh?